Jane of All Crafts: UPrinting Giveaway!!! And now I am able to give you guys the chance to win an awesome prize from UPrinting.com. Not only do they have business cards but they also have labels. 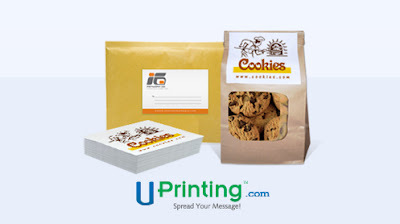 And they can also customize them according to your needs with custom labels. Unfortunately this giveaway is limited to US residents 18 years old and above only. Like Jane of All Crafts on Facebook and leave a comment telling me that you did. Like/follow UPrinting on Facebook and Twitter and leave me a comment telling me that you did. Giveaway ends Saturday OCTOBER 1st 11:59pm EST. Winner will be announced on Monday OCTOBER 3rd. I will contact the winner via email so please make sure your email address in included in your entry or that your email is linked to your blogger profile. Fine print: This giveaway is sponsored by UPrinting, no monetary compensation was given and I will receive labels for hosting. Hey, just letting you know: I am commenting as a no-reply because it won't let me comment as myself. I had to click post as name/url. Don't know if it's a comment setting, or if it is my profile. aah! i was thinking it was for business cards. i could totally use labels for christmas presents!!!! I am a follower! These would be awesome for my boutique coming up. I follow UPrinting via Twitter. So glad you sent the email! I haven't been on blogs much and would hate to have missed this. I do follow you on GFC and I subscribe via email. I've "liked" you on FB. And...I've "liked" Uprinting on FB! You know I follow you and I, like Cassie, thought it was for business cards, but labels, I could use some labels!!! Okay, I liked you on FB (and I like you in person, too). I am a follower of Jane of all Crafts! I "liked" Jame of all Crafts on FB. I "liked" UPrinting on FB. I'm a follower and I love your blog. Thanks for the chance to win! I NEED business cards and you know I'm following you :) This is awesome!